Baking with Children – Expectation Vs Reality | Have kids, they said. It'll be fun, they said. Baking with children. Sounds like a lovely idea. We will make some nice, wholesome baked goods. It will be a truly rewarding experience for the kids and for me. Such fun, such fun. 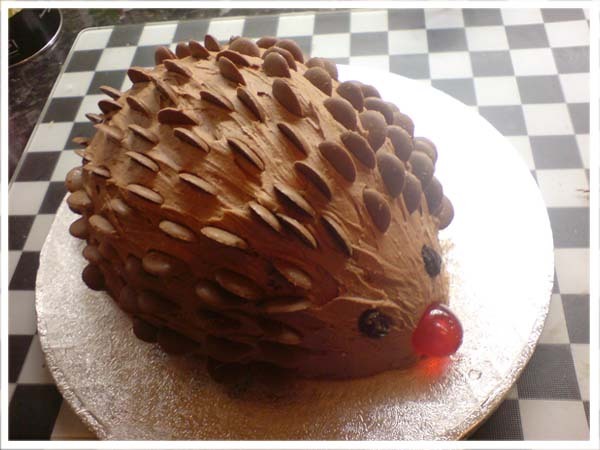 I love to bake, I always have – my passion is decorating cakes. One of the things I really looked forward to when I had kids was passing this passion on to them. I mean, I learned to bake and decorate cakes from my mother, so makes sense that my kids would follow suit. I’m sure that I was simply the best student when my mum was teaching me. I bet I never talked back to mum and I most certainly didn’t eat the goodies while we were making them. Truth be told, my mother may paint a different picture, I realise that now. 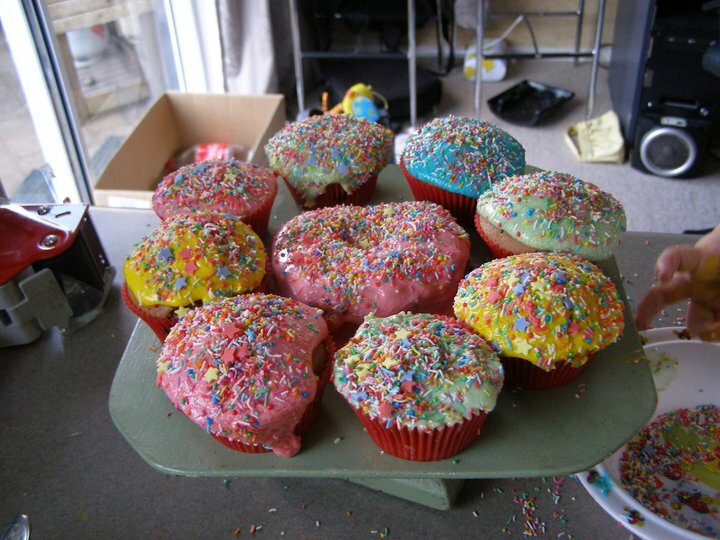 Nevertheless, I still love baking with the kids. I truly do. Honest. I do. I just do it a little differently to how I would if it were just me. And, if I’m baking something that actually matters (like a cake the adults are likely to eat) then I wait until the dead of the night when the kids are fast, fast asleep before cranking out my Kenwood Mixer. “Sure, you can lick the bowl. And you can lick the mixer. No, his is the same amount as yours. No, you can’t dip it into the cake tin. Please don’t try to carry the cake tin, I will put it in the oven. Yes, the oven is very hot! It’ll be a little while now so shall we play? A little while. Half an hour. No, not yet. No, not yet. Let’s go play! No, not yet. Come on! No, not yet”. The picture in the recipe book, with two tidy children looking on with polite smiles. A lumpy mess of chocolate and lollies. A kitchen that looks like it’s been hit by the flour-pocolypse. Two wired children licking their lips like rabid dogs. One exhausted Mumma. But, you know what? An awesome afternoon spent by all. 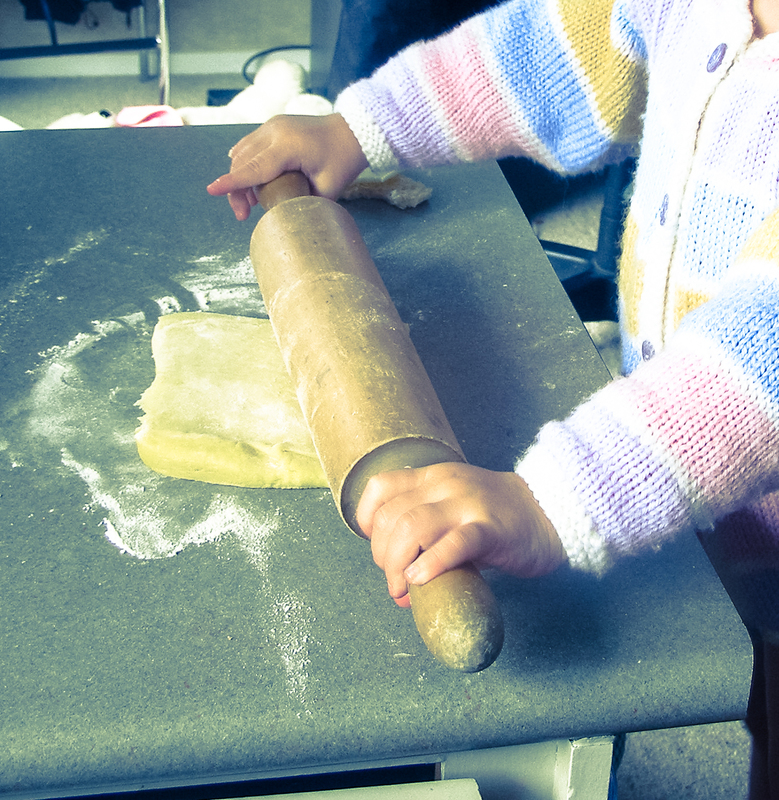 Baking with children is entirely different to baking alone, but it’s no less fun. In some ways, it’s more fun. Because amongst all the things that seem to go wrong, you get the things that go right – like Princess’s ability to crack an egg single-handed without shell falling into the mix. And BoyChild happily counting the cups and measurements as they go in. And, of course, the pure ecstatic joy of them showing off the cake they made. If it means I have to set aside my control-freak-in-the-kitchen-ness and be prepared for one heck of a clean up, then so be it – it sure is worth it. That’s looks like exceptional fun! As long as is edible it’s brilliant! It’s amazing how stressful baking with kids can become. At least they have fun. I plan to bake a cake later this month with Bambi and Cinderella and preparing myself for the reality that the cake in the picture will be nothing like the cake they make lol.